Nothing rings truer than this. I was a formula-fed child, a product of S26. I was a very, very picky eater. My lunch parcel were usually vienna sausage, hotdogs or corned beef; and my snacks, instant noodles or cookies. I grew up drinking Sustagen to "make up" for my lack of nutrients, which lasted until 6th grade. I drank so much Sustagen in my life that I was able to exchange the chips, scoops, and whatnot to books and other novelty items. And I was so proud of that as a kid. Heck, the only time I learned how to eat veggies other than squash in coconut milk was when I started to live independently. That long. So it came naturally, that I'd try to look for the best formula in town when I got pregnant. I was already on my second trimester when I was unknowingly added by a friend in Breastfeeding Pinays. I met and interacted with a lot of new mommy friends. 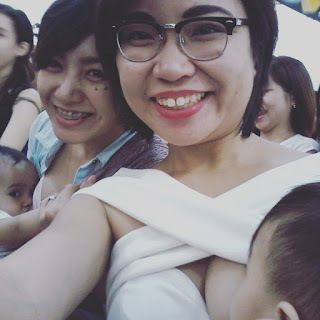 I read a lot in the group and that reading continued outside the group, until I found myself falling in love with breastfeeding. My village started with my little family. When I gave birth, people kept asking me when I'll start giving formula or why I don't have bottles with me "just in case". I've told myself "three months lang" (just three months), and that three became six, and then one. It has been more than two years now. Who would have thought? Despite the struggles on the lack of support from close family members, I get a lot of support from my husband. He had been with me through every breastfeeding event and even came to the peer counselor's training to take care of our son. We've attended two breastfeeding classes, Hakab na 2016, breastfeeding meet ups and home visits to counselees. 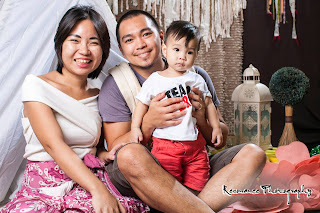 Sometimes, he would come home telling me, "Ber, I was telling my officemate about breastfeeding because his wife is pregnant. I told him they could message you in Facebook." We've met many families through breastfeeding awareness, and we've kept them as friends as we continue to support each other. That's the kind of village we have. Hakab Na! 2017: Which tribe are you in? 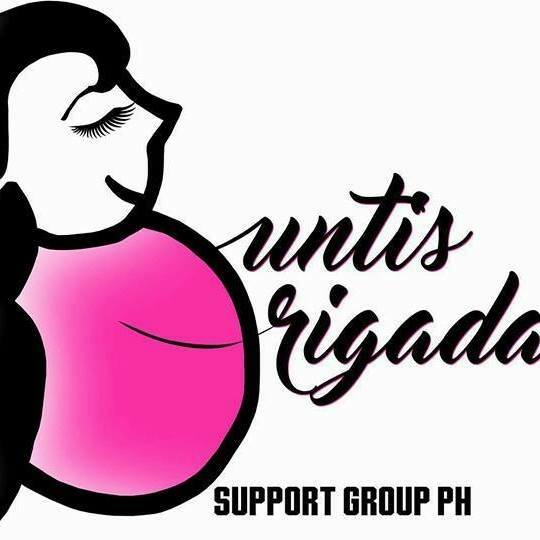 As the breastfeeding month kicks in, this year's biggest gathering of breastfeeding families hosted by Breastfeeding Pinays will be held on August 5, 2017 (Saturday) at the Smart Araneta Coliseum from 8:00 AM to 4:00 PM. Join breastfeeding moms from all walks of life in the Big Latch On, a global activity of moms simultaneously breastfeeding to set a world record. For this year's Hakab Na, moms were invited to register in tribes. A tribe is a group of ten (10) mom and baby pairs, where they can get discounted registration fees. To know more about Hakab Na! 2017, visit this link. See you on August 5 with your tribe! Keep calm and latch on!